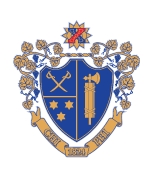 Chi Phi prepares young men for the rigors of the undergraduate world and for life after college. Each year hundreds of Alumni, actives, parents, friends and corporate partners make gifts to educate and support Chi Phi Brothers and Chapters. To make a gift to Chi Phi, choose one of the many giving options below. The Gladfelter Circle is the premier annual giving circle of Chi Phi which honors Chi Phi donors who make annual gifts of $2,000 or more. All Gladfelter Circle members are recognized with a distinctive lapel pin and invited to special Trust events throughout the year. The MacLean Legacy Society recognizes those generous Alumni and friends who have projected their love and support for Chi Phi and its mission beyond the horizon of their own mortality by making a deferred or estate gift of $10,000 and higher. To learn more about estate giving and joining the MacLean Legacy Society click below. The Men of 1824 is an exclusive group of undergraduate Brothers and recent Alumni who share a long-term vision and commitment to the Fraternity. Membership is reserved for undergraduates and Alumni who have graduated during the last five years. Through your gift of $25 or more, you can make a statement to the world that you believe in the future of Chi Phi and are willing to contribute to make that future bright. Contributing stock and other securities provides donors with an opportunity to avoid paying capital gains on the increase in the stock’s value. Donors also typically receive a tax deduction for the full fair market value of the stock on the date of the gift. The Chi Phi Fund is a Chi Phi’s biggest need and provides the unrestricted long-term flexibility to meet future needs more than any other gift. Your gift, of any size, to the Chi Phi Fund will provide support for scholarships and educational programs for every Chi Phi Chapter. Are you interested in doubling or even tripling your gift to Chi Phi? Many employers provide matching gift incentive programs for their employees. You can inquire with your human resources representatives about the paperwork/procedure to participate in this program. If you need assistance filling out your employer’s paperwork, or if you have questions about participating in the matching gift program, contact Director of Development, John Fisher at 404.231.1824 or fisher@chiphi.org.